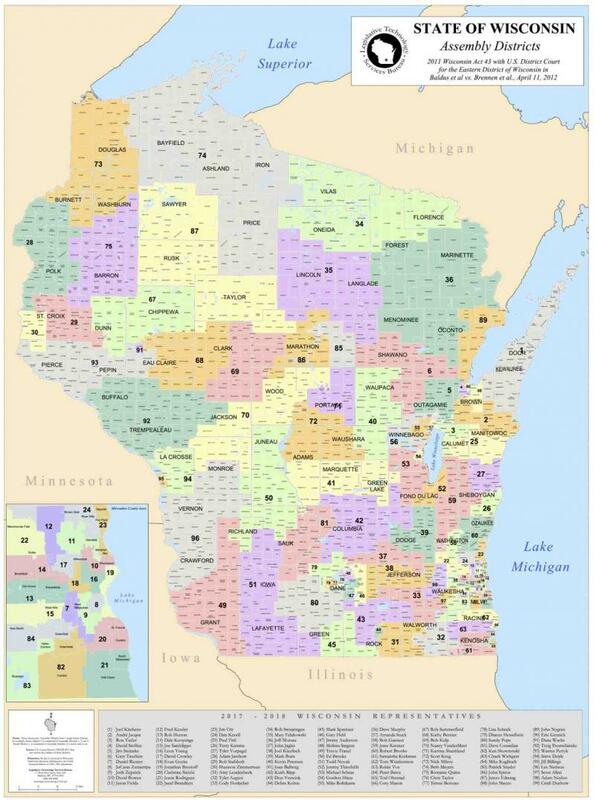 Redistricting of Wisconsin’s political boundaries is an issue in the 68th Assembly District race near Eau Claire. The Democratic candidate for the open seat is Wendy Sue Johnson, a plaintiff in a 2015 lawsuit seeking to overturn the Republican-drawn legislative boundaries after the 2010 elections. Gill v. Whitford is still alive after the U.S. Supreme Court sent it back to a lower court earlier this year. "The 68th being drawn to favor Republicans was part of the reason I ran, frankly, because I don’t think that we can give up and just concede that the maps are predetermined," said Johnson, D-Eau Claire. "We need to challenge every single election because every voter in Wisconsin deserves a choice." Johnson is a former school teacher turned attorney. She is also a former member of the Eau Claire School Board. Jesse James, the chief of police in the city of Altoona, is the Republican candidate for the 68th Assembly District. James said before this political race he had no idea about the issue of gerrymandering. He said he wants to keep studying the issue and if elected, he’d be in favor of a non-partisan solution to drawing political districts. "The way I look at this: if something’s broke, let’s sit down together collectively and let’s figure it out and let’s fix it." James said. "Any idea and solution is viable and let’s sit down and let’s fix it if it’s broke." The 68th Assembly District includes parts of Eau Claire, Clark, Chippewa and Jackson counties. James said the biggest issue facing the district is a skilled worker shortage for jobs like electricians and plumbers. "They can’t find anybody to come in and work," he said of businesses. "That’s affecting the 68th Assembly District and I think that’s a huge issue." Johnson said wage inequality also needs to be addressed in the current economic climate. She said most working people can’t afford housing, health care and higher education on what they make in wages today. Johnson said she’d like to see CEOs pay more in income tax as a way to limit what they can earn. James said he’s willing to talk about raising the state’s minimum wage, but he favors something less than the $15 an hour that he hears many Democrats proposing. The winner of the race will replace state Rep. Kathy Bernier, R-Chippewa Falls, who is giving up the seat to run for the 23rd state Senate District.